A Washington-area couple that survived the earthquake in Haiti is vowing to help its people rebuild their homes. Frank and Jillian Thorp said after the aid workers leave and food is distributed, the people still will need permanent homes. On Nov. 12, Jillian was working inside a mission house in Port-au-Prince when the concrete roof collapsed. The 23-year-old aid worker was trapped in darkness with a coworker for 10 hours. Her Haitian c-workers used their bare hands to dig her from therubble. Frank was 100 miles away when the quak hit but arrived in time for his wife's escape. 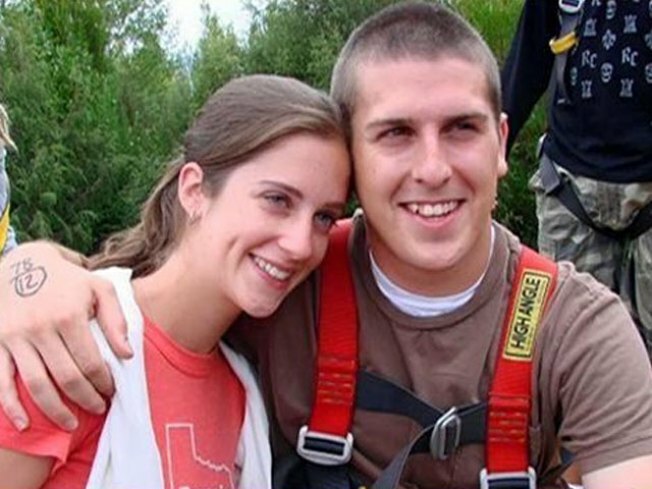 The couple decided to start their own non-profit organization called HERO. it stands for Haitian Emergency Rebuilding Operation. “I can't be in Haiti right now for medical reasons, so this is what's keeping me sane. This is what's healing my physical and emotional wounds right now,” Jillian explained. “This is about the future of Haiti and the people who are really going to have to start rebuilding their lives at some point, and we want to be there to help them because I'm still alive and on this earth today because of them,” she said. The Thorps planned two fundraisers for Wednesday. You can meet the couple from 6 p.m. to 9 p.m. at the Columbia Firehouse restaurant in Old Town Alexandria. There is a $40 donation per person. The second fundraiser takes place in the District at Local 16 on U Street in Northwest. It’s priced at $20 per person. The couple plans to go back to Haiti next week, once Jillian is medically cleared for travel. “It makes my heart race in a good way, makes me feel like I’m going home,” she said. Frank and Jillian are also taking donations through their Web site. Jillian is a graduate of George Mason University. She works for the Haitian Ministries, the Diocese of Norwich, Conn. Frank is a former NBC staff member in Washington, D.C.